Some may argue that you don't really fly... but once you try out this entirely new and thrilling water experience, you will see that it definitely feels like it! 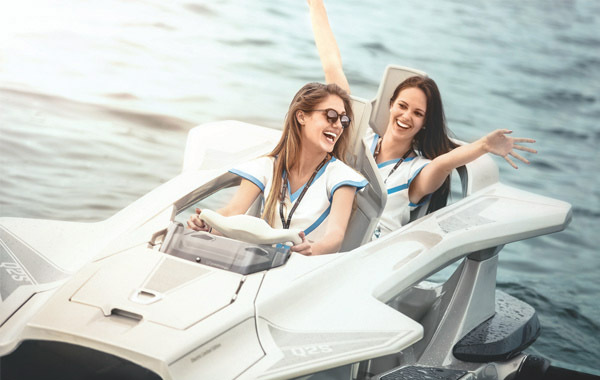 Quadrofoil Q2 offers a totally new sensation that will redefine everything you thought you knew and experienced in boating. When driving a Q2 you will experience an exhilarating air born feeling produced by our uniquely designed C-Foils that bring boat handling to a never before seen performance. 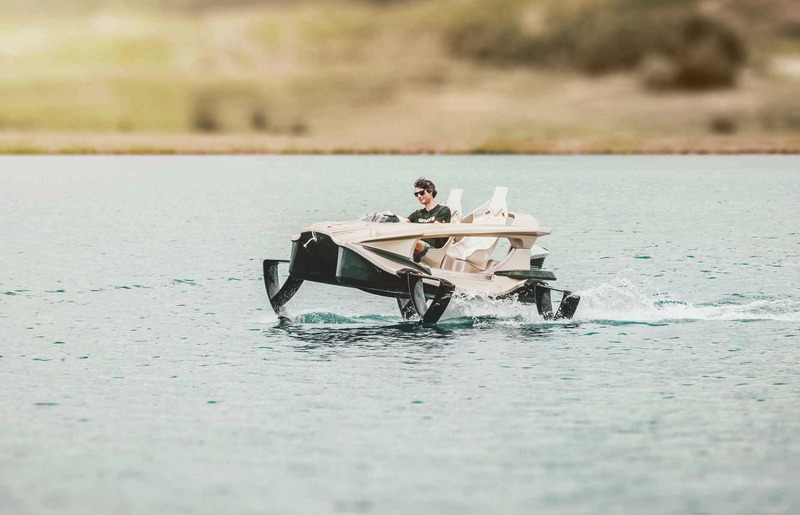 At just 12 km/h (7.5 mph) foils create enough lift to raise the Quadrofoil above the surface of the water and it's "flight mode ON". 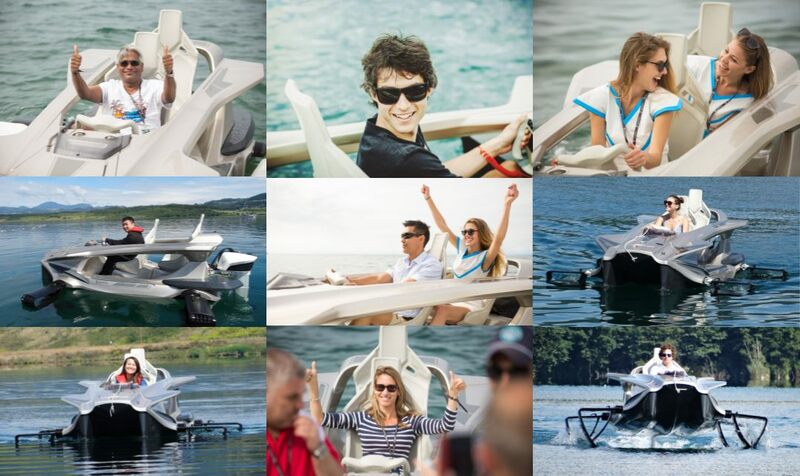 What's fun about Quadrofoil, is that you can adapt your driving style to your personal preferences. You can go full throttle and make sharp turns, test your slalom skills and rise your heart beat. 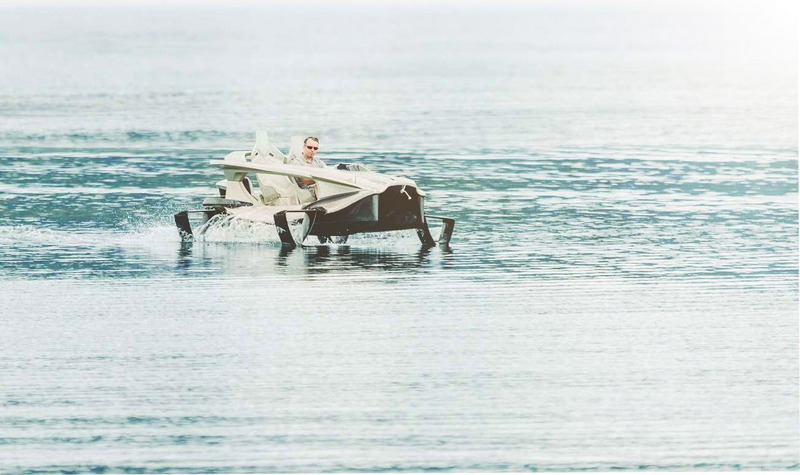 Quadrofoil is like no other watercraft. It does not drift... it holds the line and gives you complete control of every turn. With an impressive radius of only 7 meters (23 feet) and top speed up to 40 km/h (24.85 mph) you will definitely feel your pulse going up. Want to slow down, enjoy and cruise gently above the water, enjoying the beautiful nature and the serenity of the moment? Quadrofoil Q2 offers you just that. 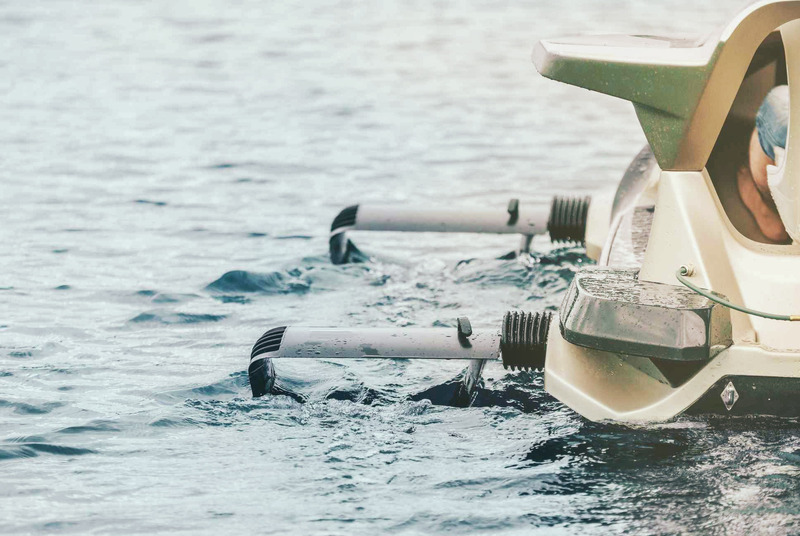 Unique C-shape hydrofoils cut through the waves, while holding their position, without annoying vibrations and bumps on every turn. Now you can enjoying the comfort and seating angles that are standard for the automotive industry. Less vibration also means less stress on your spine and lower back, making every ride completely relaxing and enjoyable. "It's funny how you don't expect it to go up and then you're suddenly up in the air." "I never though it would be so exciting!" "I definitely see the Quadrofoil on my yacht." "I can't believe how responsive it is."